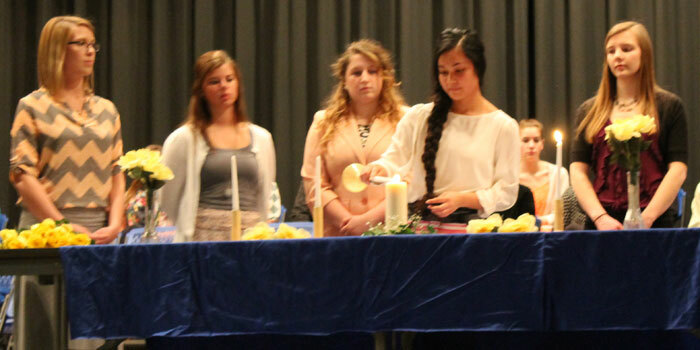 BOURBON — The Triton chapter of the National Honor Society held its induction of new members Tuesday, March 22. NHS officers for 2015-2016 conducted the ceremony, including Brooklyn Bitting, Alexis Miller, Brianna Nolin, Heather Stichter and Brooklyn Beatty. Current members in attendance were: Seniors: Cody Anderson, Dalton Bailey, Kayla Faulkner, Brittney Goley, Kayla Kreft, Katie Lenker, Gregory Music, Kaisee Ousley, Megan Young; Juniors: Quinn Downing, Mace Eads, Aimee Gladieux, Megan Hayes, Michael Hefner, Katie Hepler, Emily Overmyer, Jennifer Soriano, Bailey Watkins, Hannah Woodard, and Emma Young. 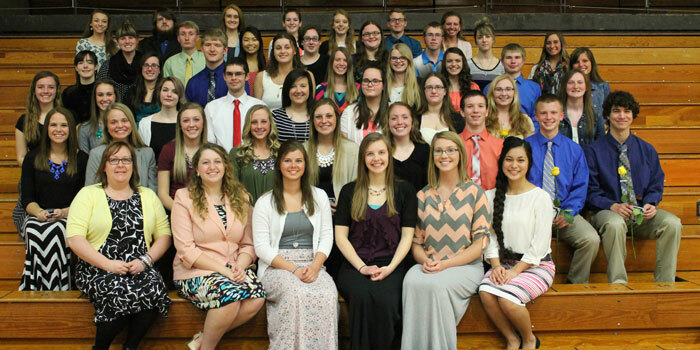 New Inductees are: Seniors: Trey Watkins; Juniors: Courtney Horvath, Siera Sauer, Conner Sherwood, Kaylene Slabaugh, Bryce Swihart; Sophomores: Shaniah Baker, Crystal Brown, Arminda Chapman-Dreibelbis, Emily Chickering, Kate Gardner, Montana Golden, Brock Goley, Maci Irvine, Courtney Jennings, Meghan Kauffman, Amaya Lynd, Kolbie Mason, Kacie Pugh, Emma Ross, Megan Scott, Nicole Sechrist, Ryan Snyder, Drew Stichter, Isaac Wall, and Hannah Wanemacher.